St William’s Catholic church in Paoli, Wisconsin, just a few miles outside of Madison. A very pretty little mission style church at the corner of the town square. 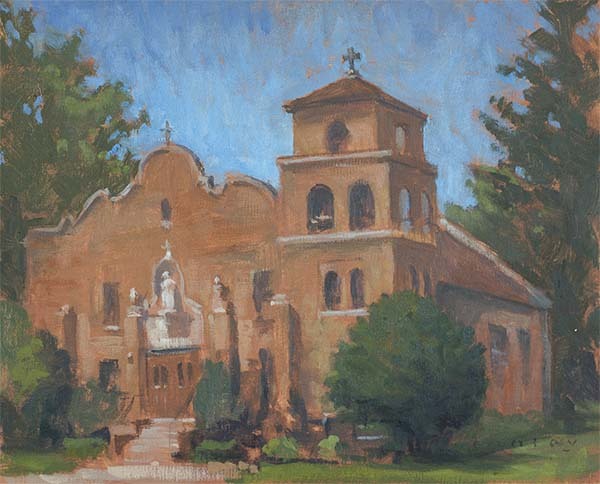 Tags: cooleyartgallery.net > painting by Gary Cooley > painting of St Williams church > Paoli > plein air > plein air painting > Wi.